"The market is at an all-time high"
“The market is at an all-time high.” You’ve probably heard this phrase lately. And to be sure, stock markets in the U.S. and Canada have hit, and continue to set, new all-time highs. But why is such a big deal being made of this? Markets have been on a good run, and it shouldn’t be surprising, therefore, that they’re breaking new highs. Look at any long-term chart of a stock market, and the general trend is up and to the right. That’s what markets do over time. This phrase annoys me because it’s often used as a scare tactic, inferring that because the market’s at an all-time high, it’s due to crash soon. If you read a headline or hear a story on the news about the latest high mark, you may feel like you need to take cover in your portfolio. You may even be encouraged to sell everything. Move to cash. Load up on gold. It can promote poor decision making. These feelings are intensified when articles or commentators talk of previous market crashes in the same sentence (like Black Monday, the dot-com bust or the global financial crisis). The fact that a market is at an all-time high really doesn’t mean anything without further context. Stocks could still be reasonably priced and the outlook for earnings growth still solid. And it doesn’t necessarily mean a big correction is lurking around the corner. Consider the S&P 500 Index in the U.S. It hit an all-time high in 2013. And 2014. And 2015. And 2016. And now 2017. Those who bailed out four years ago just because the market hit a new high at the time have missed out on huge gains. 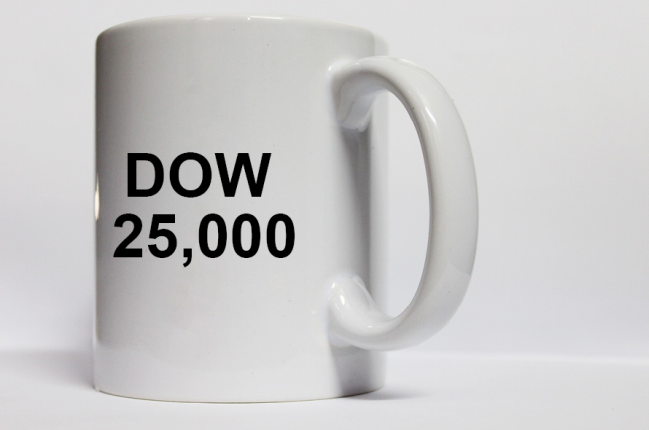 As investors, we shouldn’t be distracted by arbitrary index levels, like “Dow 25,000” for example, or talk of record highs. We should focus instead on the three factors that play the biggest role in future returns: (1) valuations (investing’s answer to gravity), (2) corporate fundamentals, and (3) investor sentiment. Right now, it’s our view that valuations in general are on the high side, fundamentals are good (but not great), and sentiment is mixed. When we pull it all together, we feel it’s a time to be cautious (our Outlook provides details on how we’re positioning our Founders Fund). Not because markets are at all-time highs, but because our key indicators are not all flashing green. Which means we don't have to communicate like one (phew!). Sign up for our blog to get the straight goods on investing.